WhatsApp has introduced a desktop app for windows and Mac to consolidate its position as one of the most popular chat apps for smartphones 15 months after releasing its first web app. Previously, to use it on Windows or Mac, you had to open a browser and run it as a web app within the browser. Now, the Facebook-owned app is streamlining the process to make it run natively on your desktop with its own icon without opening any browser. The new desktop app, which was released on Tuesday 10th May mirrors your smartphone and allows you to message your family and friends while the phone is in your pocket. 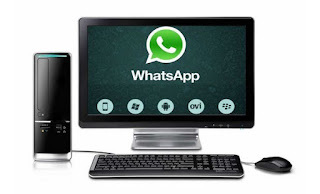 People who have been using WhatsApp through the Windows web browsers will find out that the new desktop app is no much of a difference. In the released statement, WhatsApp says “our desktop app is simply an extension of your phone,” which means that it it works by syncing messages between devices only when your device is connected to the internet unlike apps like Telegram that allows you to access your chats anywhere without relying on the mobile app. To use the app, just download the WhatsApp desktop app and install it, then open the app and scan the QR code with your phone to sync your devices. Welcome development let me go and download it.